So if you've come this far to check out my website, and considered buying on-line, then here are some things to consider that maybe you weren't aware of that could help your decision making. Every ebike has different ride characteristics, and some differences are more pronounced than others. To get the most enjoyment and best comfort, it really does help to actually test ride the ebike. If the firm is on-line, ask if they have local references who allow ebike test rides, or what they call 'ambassodors'. And be sure to compare the various models that are interesting to you. Motor wattage, and battery amp hour (capacity) and other specs really don't tell you the whole story. The same wattage rating on a motor (500 watts) on one brand versus exact same on another brand, can feel and perform very differently. One might accelerate faster than another, or hill climb better, or one might achieve a higher top speed more easily. Are you really saving money - the common refrain is you are cutting out the 'middle man'. Well consider that most on-line ebike firms ARE THE MIDDLE man, in that they don't do design, don't do R&D, and are mostly importers adding little value other than stocking the ebikes, and saying they'll provide phone service to handle a warranty situation. They do not test, or prep, or set up the ebikes for you prior to delivery, and they don't adjust brakes, index the gears, make sure the rims are true, spokes are tensioned, and all components are functioning. They don't even check this prior to delivery, because the boxes arrive sealed, and most ebikes are somewhat disassembled when they arrive at their end destination. Fully assembled would cost a lot more to ship. The on-line firms are mostly a "white label" distributor/importer meaning put their name and logo on an already designed and built Chinese ebike, while choosing different features and limited colors for you, but having little to do with the engineering, performance, or safety. Dealers do all of the above and more, often addressing shipping damage, or quality control misses, ensuring the ebike is safe to ride, and fully functioning properly AFTER shipment has occurred. They provide valuable feedback to the ebike OEM's too, helping catch potential recurring quality problems reporting to the OEM, and handling before the ebike gets to the consumer. The OEM can then solve the QC issue at the factory much faster before a lot of ebikes get to market. Here is how the on-line firm's costs are higher, and,or money spent in areas that don't add much value to the ebike or to you : shipping costs are more expensive for 1 ebike, than multiple e-bikes shipped on a pallet which is how most dealers receive them. Dealers do bear these costs, whereas the on-firm has to cover shipping if they claim "free shipping". Their marketing costs are significantly higher, and some of them are spending in excess of $100,000 per month just to be on-line with google Adwords. That does not include any other promotional materials, other marketing channels, or the inside staffing required to handle marketing. Their overhead is also going to be a lot higher to maintain on-line phone help for repair calls or complaints. They will also pay more to the manufacturer to have improved quality control processes, which typically are marginal at best. 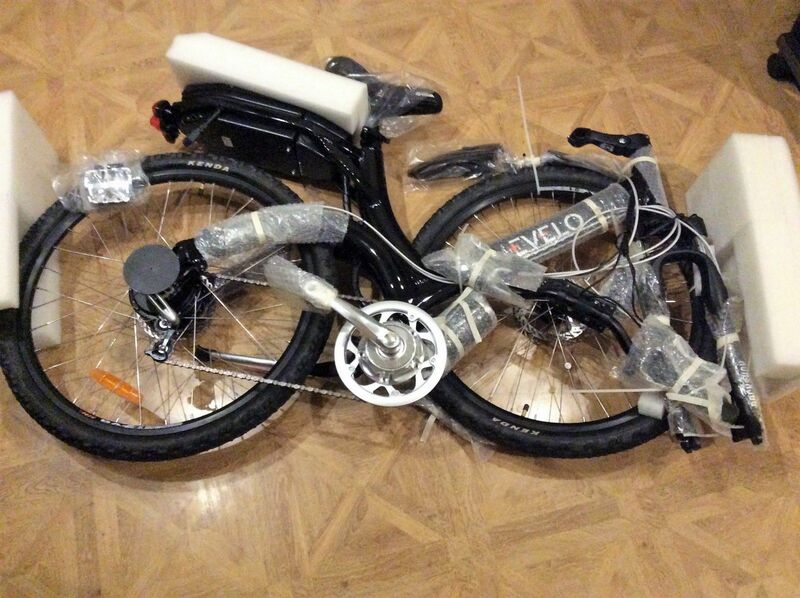 Online ebikes have been known to arrive with bent rims, broken spokes, non working motors, broken displays, loose electrical connections, and more. The on-line firm does not oversee the quality control themselves. 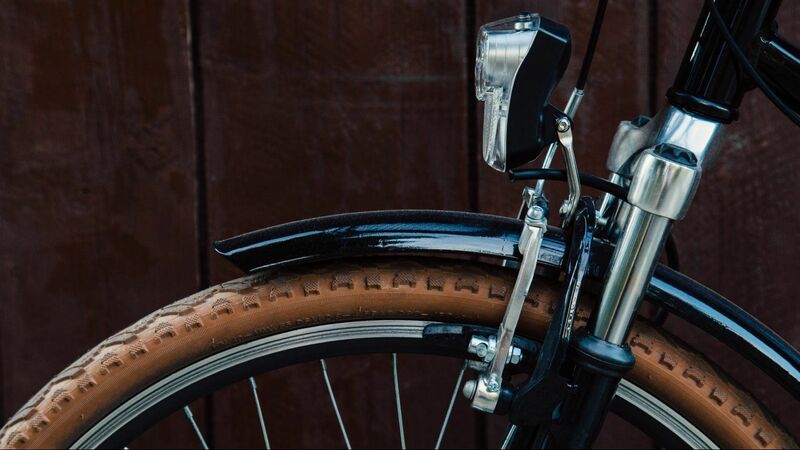 Warranty claims are also often a lot higher for on-line sold ebikes, as consumers generally are not fluent in how to properly set up an ebike, and may not catch issues that occur via shipping until its too late. The process of solving warranty issues is higher cost and more time consuming, because the on-line staff cannot see the issue first hand, and so it will take longer to diagnose, and consumer communications may not be sufficient to adequately describe the problem unless they are mechanically inclined or electrically capable. Patience will be required by the on-line consumer who has an ebike with quality issues. On-going service will be a challenge for the on-line consumer, as there is no dealer local for that on-line company, as many on-line firms restrict access to parts and aren't supportive of dealers working on their e-bikes. Some are, but then the dealers just may not be well equipped or well versed on that brand's characteristics. E-bikes are not bullet proof and have a lot of moving parts, and quite a bit of electrical and software capabilities that require more knowledge than regular bikes. Time will tell if an on-line model for ebikes will perservere. To be competitive, most on-line sold ebikes are sold with lower end components, and mainly focus on low price. Many components are bid out to the lowest cost supplier, without real consideration for long term reliability. Again, the big incentive for on-line buying is mostly price, and then maybe the perception of 'convenience' at least if its only a 'click' and credit card that is the process, rather than visiting a local store and trying out the ebike and asking lots of questions. The other marketing 'trick' is to convey higher performance for the money, but once again, they must cut corners somewhere to keep the price down, so the quality is going to be less than an ebike in a store. 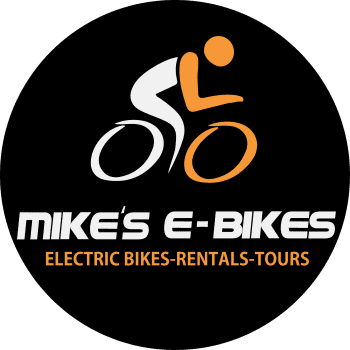 The highest quality brands sell their ebikes primarily through dealers, as they want dealers who can maintain that quality, and properly explain the use of the ebike, and be a long term resource for the client. This helps considerably to maintain consumer satisfaction, and more referrals. Personalized Service - here is where buying local from an ebike dealer, can really set your purchase and long term ebike experience far ahead of buying on-like. Comparison shopping on-line can certainly help you narrow down to a few brands, and 2-D pictures and video reviews can be of help. However, that said, every individual is unique in terms of needs, preferences, wants, desires, body sizes, physical strength, and riding in different geographies and terrains. That is where a dealer with multiple brands, and many models with different frame geometries, performance characteristics, and dozens of little things about an ebike, can make your buying decision immensely easier, and much more productive, achieving the best possible outcome. 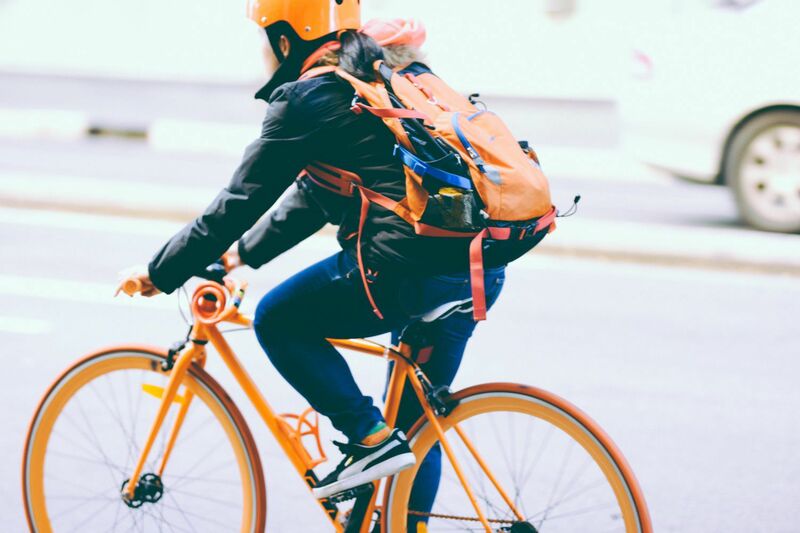 There are items like handlebar grips, stems, pedals, seats, tires, mirrors, helmets, racks, baskets, locks, rear carriers, car racks, and many accessories that can either enhance your ebike experience or even make it a nightmare. The dealer will help you select this, customize the ebike, and do it properly to fit your needs. Very little of this is shared on line in great detail, or designed for you specifically, and an on-line Ebike provider has to limit how much they can offer attempting to build a 'one-size/one-type' fits all ebike. Maybe a few different frame sizes or different colors, or some options are offered, but once you see what a dealer can do, and the wealth of experience he has listening to many customers daily, and learning what accessories, fit best for specific situations and needs, curating the right accessories and best performance or modest cost, you'll find your purchase experience will get that much easier, and more rewarding. And make sure you find a dealer who you are comfortable with, listens, acknowledges, is articulate and knows his craft. You can tell by asking some good questions, or asking friends close by who have purchased from the dealer. A dealer who is reputable realizes he is much more 'local' meaning he has a smaller audience and clientele base from which to draw upon, and he has to excel at a lot of things, much more than an on-line purveyor of ebikes does. (that on-line can hide behind email, not answer the phone, and simply count on a much larger base of buyers spread across the nation, who will risk buying from them). That local dealer WANTS to do a better job, and its likely in his 'DNA' as he chose the profession from the standpoint of passion, skill sets, wanting to help people in person, and achieving personal satisfaction from the every day business of ebikes. Its not just a 'job' to that dealer. Its his or her livelihood. Your interests and the dealers are actually much better aligned than that of on line purveyor when you think about it in a bit more depth. Of course all of this is coming from the lips of a local dealer, however, it is worth noting that this dealer receives calls (5 to 10 per month) for help from those on-line ebike buyers who run into a whole host of problems they were unable to solve, didn't anticipate having, or inability to get proper help on-line from the company they bought from. Not only lost time for them, but potentially lost money for an entire ebike they are unable to get repaired and running at any price.